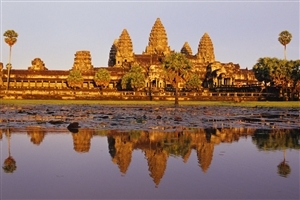 No visit to Cambodia would be complete without a visit to the famous site of Angkor Wat, so this three day trip is perfect for those who have a desire to explore arguably the most important temple in the country. 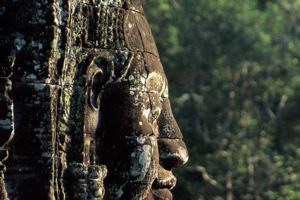 Your time in Siem Reap will also include a visit to Angkor Thom and the chance to be become a true explorer at Ta Prohm. Arrive at Siem Reap, the gateway to the Temples of Angkor, where you will meet up with your guide before heading to your hotel to check-in. After some time at leisure to refresh, you’ll head out in a remork – similar to a tuk-tuk – to explore the temples. 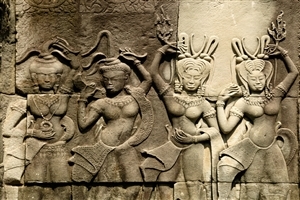 The most famous you’ll pay a visit to it Angkor Wat, which features on the Cambodian flag as a symbol of the Khmer people. You’ll arrive in time for ‘Golden Hour’, where the 2000 Aspara dancers that decorate the temple can be seen in their best light. The day starts early with a return to Angkor Wat to see the sun rise above the iconic towers of the temple, with a breakfast box provided with by the hotel to help fuel you for the activities ahead. Once the sun has come up, you’ll head off to Ta Prohm; a unique temple that has become known as the ‘Tomb Raider Temple’ thanks to the fact it is now overgrown with jungle trees and vines. 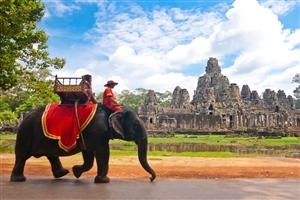 A trip to the ancient city of Angkor Thom follows, entering the city walls through the impressive South Gate with its stone elephant carvings. Heading into the centre of the city, you can explore the Bayon Temple with its 54 towers and also pay a visit to the Terrace of the Elephants before heading back to your hotel. In the late afternoon, you’ll board a gondola paddle boat for a cruise around the moat of Angkor Thom and watch the sunset at Prasat Chroung temple. Depending on the time of your departure flight, you could enjoy some time exploring the local markets to pick up some souvenirs for home, or further explore the city sights before transferring to the airport.